American Airlines has dropped the price of a few last minute flights from Toronto to Liberia, Costa Rica down to $289 CAD roundtrip including taxes. The flights have 1 stop in Miami or Charlotte each way. Jan 22, 23 to Feb 1 -- new! toronto, yyz, flight deals, american airlines, liberia, costa rica, lir and central america. 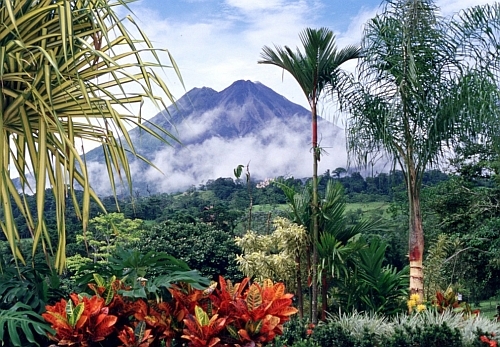 5 Responses to "Toronto to Costa Rica - $289 CAD roundtrip including taxes"
Does one need to go thru the hassle of US immigration for such connecting flights, i.e., leaving from YYZ, stopping in the US for connection? Yes, and it's a very tedious and disruptive process. Add an extra 45 minutes at YYZ and leave at least 90 minutes for your connection in the US. Better yet, pay and extra $200 and fly direct with Westjet or a charter like Sunwing etc. Hillary, I went through immigration in YYZ last week for a short trip to the states. Took well north of 40 minutes, with a huge line. The shutdown is affecting things - if you're going though the states, be mindful of that. Are you guys getting vaccinated, before traveling to Costa Rica?